We’re just a week away from E3, and even if the big press conferences fail to deliver the JRPG goods we’re all craving, at least the smaller publishers have us covered. 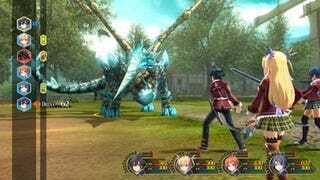 1) The Legend of Heroes: Trails in the Cold Steel (PS3/Vita), a stand-alone entry in the same series that takes place in the same world but stars a new set of characters. Anyway, THIS IS THE GAME YOU SHOULD ALL BE MOST HYPED FOR. Seriously. It’s freaking amazing. A perfect blending of PopoloCrois and Story of Seasons, so if anyone was worried about buying it because they’re not fans of farming sims, there’s no need for concern: it’s a ‘90s-era-style turn-based JRPG first and foremost, with a very nostalgic feel, a great cast of characters, a lovely and well-written story with a lot of heart and a lot of tearjerking moments, and a great, well-developed world full of charming (and kind of goofy) NPCs. It’s the perfect feel-good JRPG, and hearkens back to the golden era of the genre in just about every way. It also really does blend the two IPs together beautifully, with a LOT of Story of Seasons elements, but they’re all gradually and very naturally integrated into the game, and are just as important thematically they are to the gameplay. If you’re into Bokujo titles, it has plenty to keep you busy for a LONG time, but if you’re not, all the Bokujo elements will just feel like side-quests and minigames from the RPGs of yore instead — they’re pretty much optional, but don’t feel tacked-on or out of place, and can easily be focused on if you want them to be. This game is going to get overshadowed by other announcements, I’m sure (Sen no Kiseki most notably), but I urge you guys to put it on your radar, as it really is a wonderful, charming, wholesome JRPG that’ll totally make you feel like a kid again. OK then! I will certainly give it a try. Meanwhile, the folks at Atlus are bringing over the Etrian Odyssey 2 remake (3DS), a strategy-RPG called Lost Dimension (Vita), and a SaGa-like JRPG called The Legend of Legacy (3DS). There’s a new Tales game coming later this year—Tales of Zestiria (PS3, maybe PS4)—and then of course there are the two big ones, Persona 5 (PS4) and Xenoblade Chronicles X (Wii U), both still slated for 2015... for now, at least. So even if we don’t see any big JRPGs announced at Sony’s press conference this year, and even if Square Enix focuses mostly on their western stuff, don’t stress. Lots of JRPGs on the horizon.